Every year right around this time, many people start reflecting on how far they've come or how much has changed over the last year. Sometimes you have years (like mine) where a lot has changed, and others where you wonder what you did with your time. 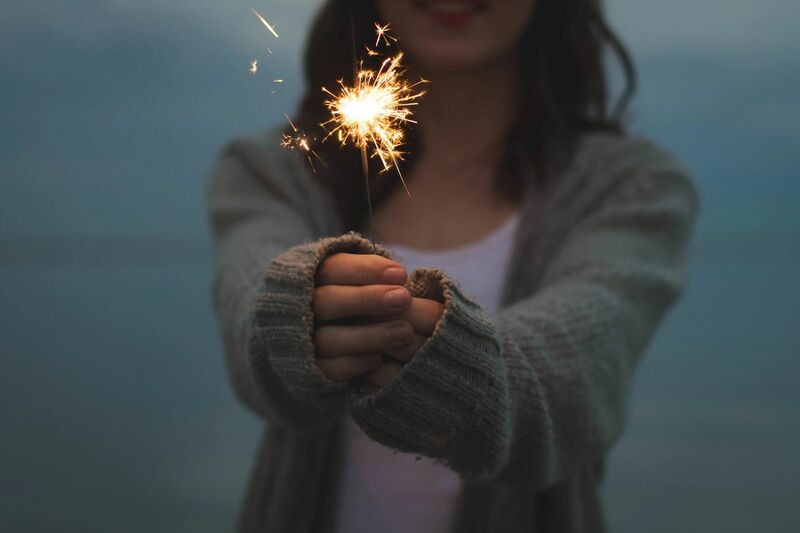 Either way, the days leading up to New Year's Eve are usually spent thinking about resolutions or goals for the upcoming year. 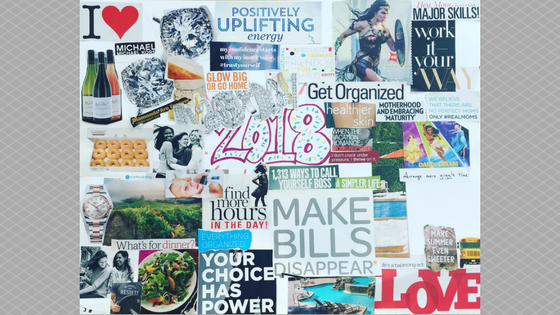 While I can't take credit for this practice, I got together with my best girlfriends yesterday to create a vision board that reflects my goals, beliefs, wants, desires, and needs for 2018. "What is a vision board? And how do I make one?" you might ask. Well, the process is really quite simple and fun - especially if you're creating one with your friends while enjoying a glass of champagne and listening to Beyoncé and Nicki Minaj. Any size poster board - if you've got big plans, get a large board! Multiple magazines of different themes that are important to you i.e. Parenting, Cosmopolitan, Travel + Leisure, etc. Any other decorative item that brings you joy! Glitter, stickers, sequins, feathers - use your imagination! Once you have all of your supplies handy, get to work. Think about the past year, are you where you wanted to be? Did you accomplish all you set out to? Are you happy? Its important to reflect on where you started and what you set out to do. There's a saying that God hears our plans and laughs. He brings us what we need, not always what we want. It may be different, it may be better, but you are here and you survived even your roughest day! Congrats! Next, think about the next 12 months and what's most important to you - health, love, marriage, parenting, friendship, work, education, etc. Hopefully the magazines and photos you have handy are reflective of those important aspects of your life. Now grab your scissors and start cutting! Look for images and text that inspires you or makes you smile. Cut different shapes, use decorative scissors to cut with a fancy edge, tear out full pages that reflect your goals, vision, or values for the next year. Go through all of your magazines and photos until you feel you've exhausted your supplies. Then its time to lay out your plan, your vision board. You may want to write the year on your board or give your board a title. My best friend wrote her favorite motivational quote in the middle of hers and laid the images and text around it. Take your cut outs and arrange them on your poster board. One approach is to group like categories. Another is to place images together that support the same goal. There is no right or wrong way to create a vision board. Be true to you, to your truth and passion. No one needs to see your vision board but you. Lastly, glue. Make it real. Like whispering a wish out loud. Your goals are documented, tangible, and an awesome reminder to you every day of 2018 to keep pushing forward. Decorate your vision board however you want. Add glitter, circle important items, color, be bold, be YOU. Your board isn't done until you feel its done. Make this exercise as serious as you need it to be. Hang your finished board some place visible to you so that you can reflect on it and intentionally set your "to dos" each day. At the end of 2018, let's reconnect to see if we've accomplished what we hoped to; and either way, we'll repeat the above until we do.